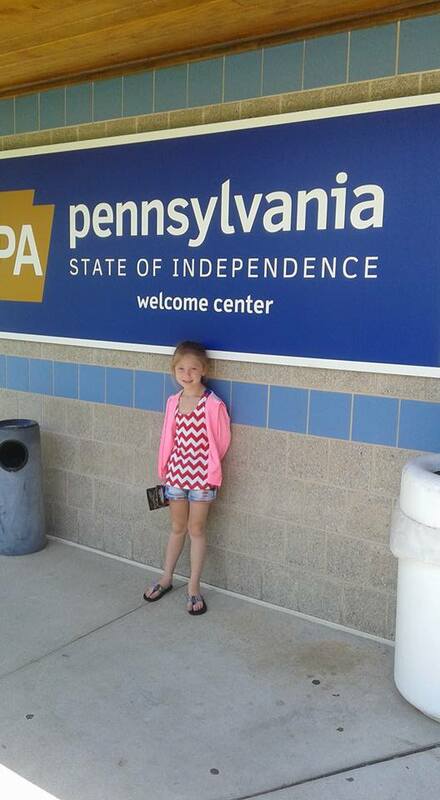 I just returned from the most wonderful trip to Pennsylvania with my daughter and her three children. Along the way I overheard her say to her oldest, “How did our vacation turn into gma’s walk down memory lane?” I really wanted to make the trip to Wellsboro but time didn’t permit that. That’s on my bucket list for next time. I have another friend from Wellsboro and I thought it would be great to see where she lived. Plus there is a road there called Sheer Road, her last name. How great is that? Guess you could say I do have a Pennsylvania connection. Beautiful state with the tall trees and mountains. Even my daughter wanted to transplant some of the trees to Texas. First off I’m writing my memoir. Yea, me. Second the kids wanted to go to Hershey Park. Thirdly, the first and second were close by each other. You see, sixty five years ago I lived in New Cumberland when my father was stationed at Cumberland Depot, and, Hershey Park was just that at that time, a park. I remember my parents going there to picnic and yes, I did ride on the kiddie rides. The most exciting thing for me was being able to visit my girlfriend of more than sixty years. We’ve kept in touch by letters all these years. We shared our high school experiences, getting married, our children growing up and marrying, by letter. When we met this time it was like I’d never left. It was wonderful. She took me to our old house, which has been torn down, the church I was baptized in, the school we both went to, and even the post where my dad was stationed. Somehow though, everything looked much smaller this time. How did that happen??? 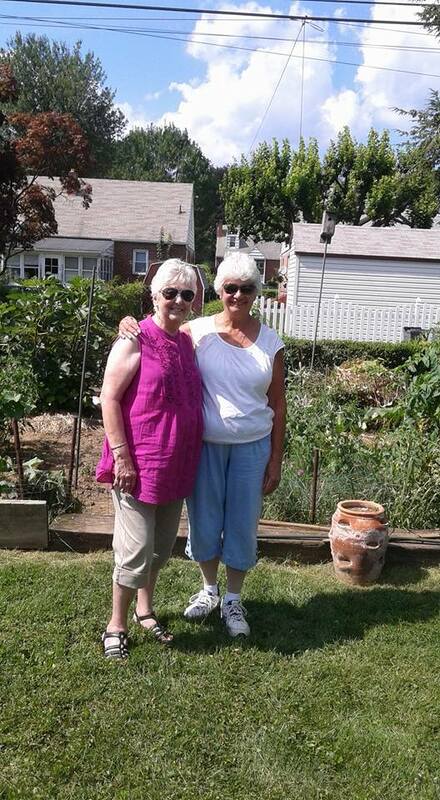 My friend and I in front of her garden. The grandkids said we looked like sisters. Maybe it was our white hair. How did that happen??? From Hershey we went to Gettysburg and took the double decker bus tour. I highly recommend it. The view from the top is great. Everyone had a headset to hear about all the landmarks. Gettysburg has taken great care to preserve their heritage of the Civil War. I was impressed on how much the grandkids liked hearing the history. From there we took the children to Mount Vernon. I asked the kids if they knew who George Washington was. The six year old said he’s on the dollar. I’m impressed. She didn’t know anything else, but she knows her money! On our way home we stopped in Charleston and took a carriage ride through the streets. So much history there too. I thought we were overloading the kids little brains, but they were eager to press on. Alas, after a week away from home it was time to make our way back. Hubby and daddy were missing us. Now I’m trying to play catch up again. Off to Idaho in a week. Time with hubby, brother and his wife.